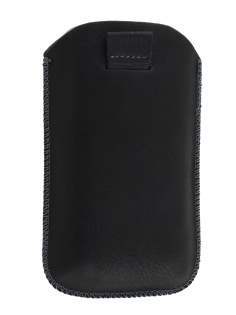 This very popular pouch for the Nokia Lumia 710 provides great protection against bumps, scratches and scuffs. The inside is lined with a special super fibre material for gentle protection of your delicate phone. 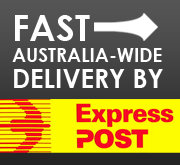 But not only it is good for protection, it's great for function, too. 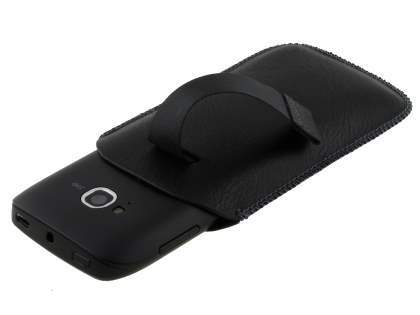 It features a specially designed strap with which to pull the phone out of the pouch, making it easy to access your phone on the go. 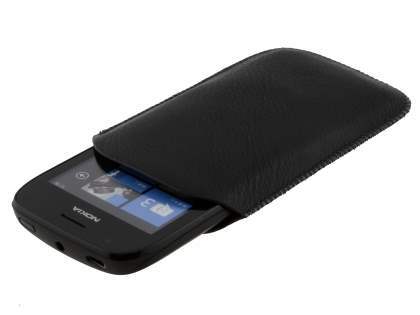 This pouch is particularly good at protecting your Nokia Lumia 710 when you need to put it somewhere where it may get crushed or scratched by other items - handbags, pockets and overalls. This pouch is perfect for anyone who needs that extra peace of mind, and extra convenience, when traveling or working with their fragile and precious phone. 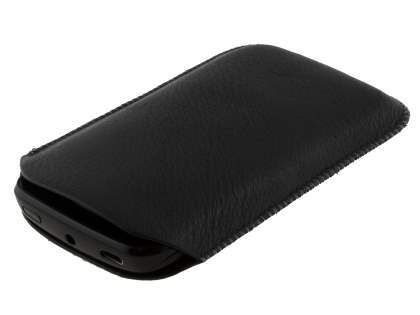 Please Note: This case is for a user who wants to fit a naked Nokia Lumia 710 into the case (a phone without another bumper case already fitted onto it).